Although most newbies have a general idea that they need to slide the card through the narrow gap, it is very common to have a second or a third attempt to get it eventually right. It lacks of clear signs to instruct riders which direction and side are the correct ones for people to swipe the card. Not to say the turnstile itself constantly have failures at reading a card. This adds more confusion and difficulties for new riders. 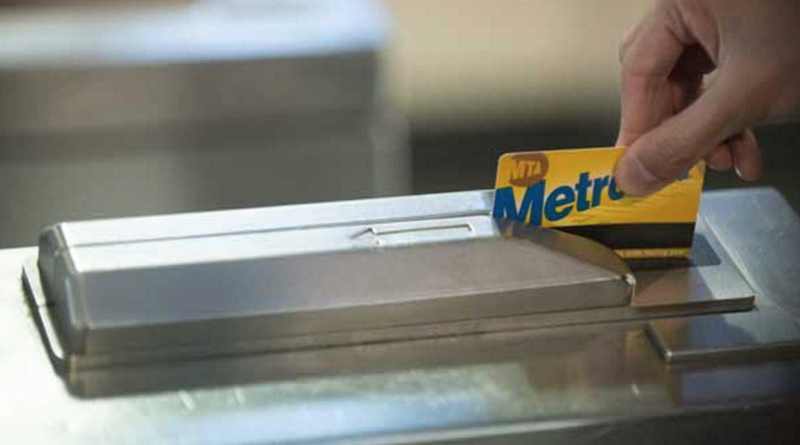 If you look carefully, the right corner of the swiping area is similar to the top right corner of the MetroCard. This shape allows users to insert their cards easily. In addition, the designer might also try to hint users about the right direction and side when they insert the card. If so, the design will be a failure since it is hard to be noticed when everyone is rush to enter the station. I made one mistakes during the first try of this lab. I inserted each of the LEDs in an opposite direction...which caused the whole circus doesn't work at all.